Our maintenance team has given a new lease of life to an office block at our Marsh Mills Business Centre in Huddersfield and is already half full. Our maintenance team has done a fantastic job giving a new lease of life to an unused office block at our Marsh Mills Business Centre in Huddersfield. The ground floor of an office block at the centre was in need of some TLC after lying empty for several years. And with some creative thinking, Business Centre Manager Peter Ward and the maintenance crew has transformed the workspace into eight bright and attractive offices. Four of the offices have already been let and our customers at the site, as well as neighbours, have all commented at what a difference the work has made. “Previously the ground floor of the unit had the windows covered over and the inside was a large, disused space. There had been talk of changing it into storage units, but when I took over as Business Centre Manager last year I was confident we could make it into good quality offices." The office block has had new glazing installed in the original window frames and the interior has been given a thorough clean and been fully decorated. A welcoming entrance area has been created along with eight office units and a kitchen. The work has benefited all our customers on the site as it shows we are committed to continually improving the business centre and customers can see we are making good use of their fees. “The new offices add some much needed good quality and cost-effective office space to what is currently available in the Huddersfield area. “We have also installed new signage and have recently replaced the roof on the industrial units. The interior of this block is currently being decorated." 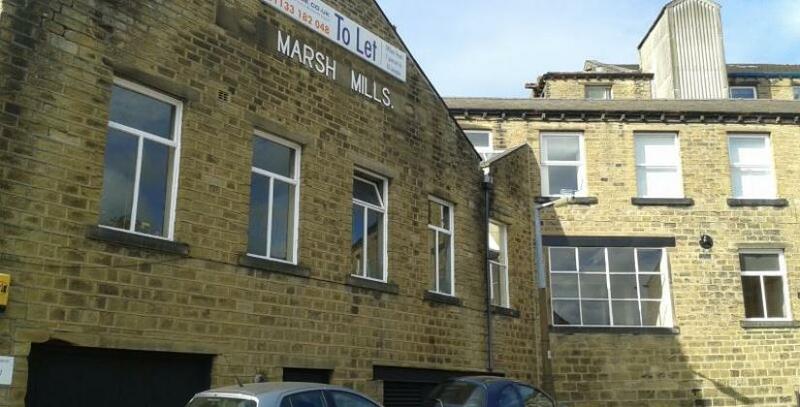 Our Marsh Mills Business Centre is a converted wool mill in the lively area of Marsh, with excellent access to the main road into the town and also close to the desirable Lindley area. The centre has free on-site car parking facilities and unloading areas, which are ideal for customers of our industrial units and workshops. For more information contact Business Centre Manager, Peter Ward, on 07736 083 473.